Season all of the fish with salt. Peel the onions and garlic, chop up the garlic and cut the onions into half moons. Wash the tomatoes and slice it. Cut the peppers into strips without the white skin and seeds. Thinly slice the chorizo. Place half of the onion, garlic, pepper, tomato and chorizo into the “Cataplana”. Add the bay leaf and season with a little salt and pepper. Sautee at medium heat until softened. Add the fish and cover with the rest of the onion, garlic, tomato, pepper and chorizo, adding the parley. Add the oil and white wine. 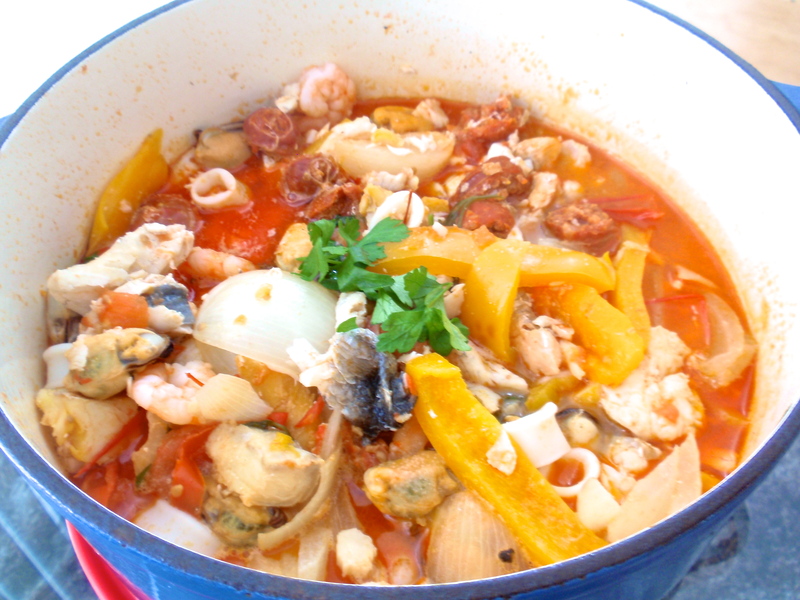 Close the cataplana and cook the mixutre for 20 minutes at low heat. After adding the clams and the shrimp. 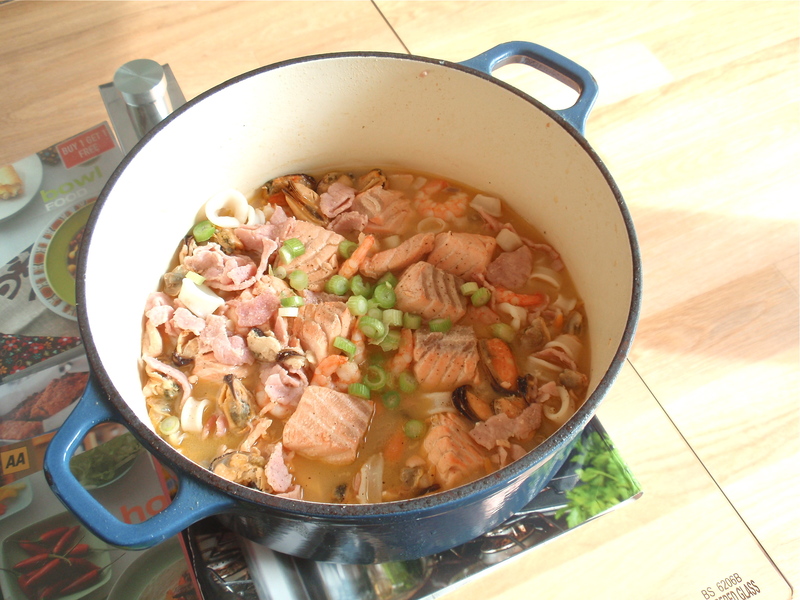 Let it cook gently for another 10 minutes, then the mixture and place the Cataplana on the table. Serve with boiled potatoes. Obviously I don’t have a cataplana and so I used my cast iron pot instead. The stew is effectively a lighter version of a rich tomato based stew (i.e. 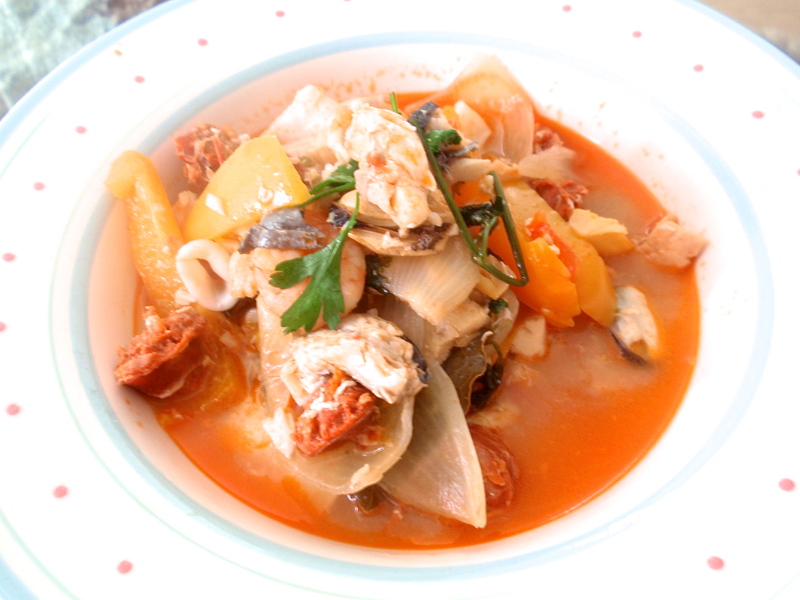 with a can of tomatoes thrown in) and its the white wine that’s the star of this dish. You can use any combination of fish for this. Soak the clams in a bowl of cold water, leave for about 5 minutes while you slice the fish, then discard the open or cracked clams and drain the rest. Cut the monkfish and salmon into 1cm slices, and slice the squid into rings the same width. 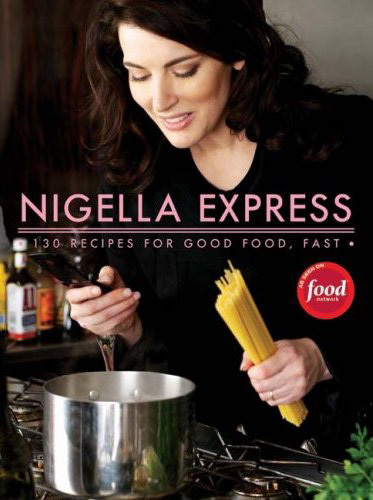 Warm the butter and oil in a large pot or pan with a lid, then, over a high heat, toss in the fish and squid and stir them around until they begin to go opaque. Add the clams and white wine, then clamp on the lid, shaking the pot over the heat, and let it all cook for about 3 minutes. Lift the lid, avoiding the steam, and pour in the sherry. Cover again and then leave for another 3 minutes or so, shaking it about every now and then. Serve the seafood in the pot, sprinkling with the chopped chives if preferred. Wasn’t really expecting much from this recipe and to be honest was expecting the taste of alcohol to be overly strong. 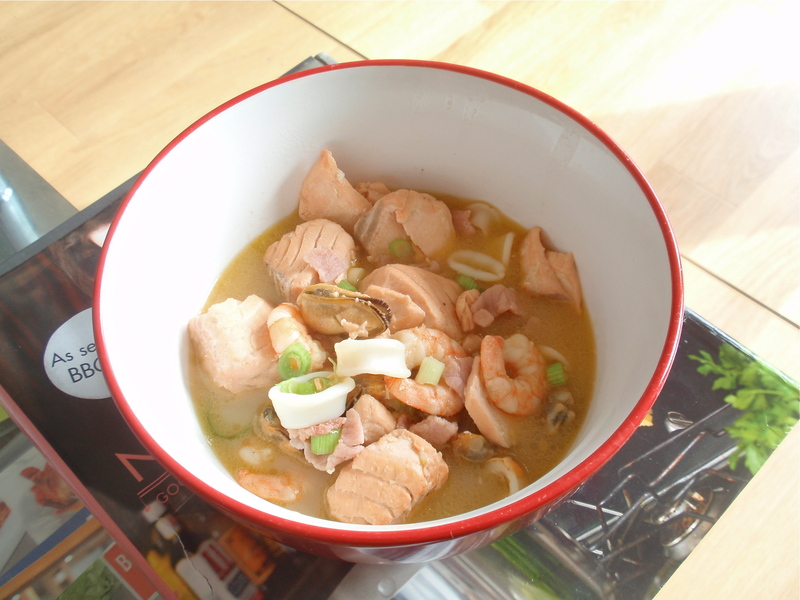 But oddly enough, it all came together creating this wonderful seafood stock. Mine is the “cheap” version of it as in I used a seafood cocktail and just salmon fillets for the seafood pot but still it came out really well. I added a bit of bacon to the mix as I had some leftover.